DISH Network is having an incredible day in the market today, and for good reason. The company reported its first quarter earnings, blowing away expectations. However, it wasn’t all good, subscriptions were a bit lower than expected. Nonetheless, investors are excited about what they’re seeing. Today, we’ll talk about what we saw from earnings, how the market reacted to the news, and what we can expect to see from DISH moving forward. So, let’s get right to it! 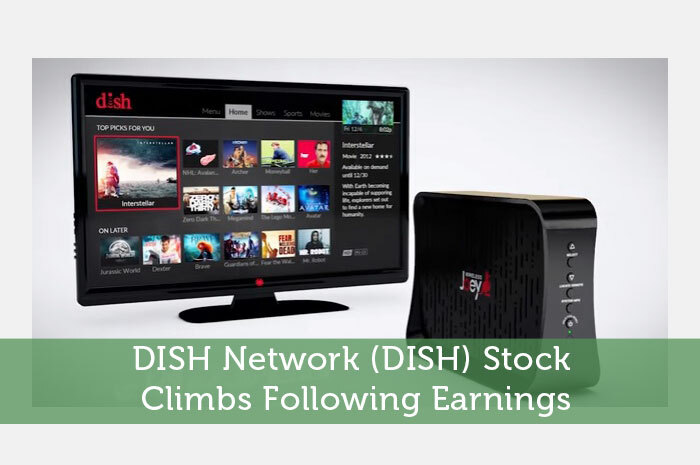 Earnings Per Share – In terms of earnings per share, DISH had an incredibly positive quarter. During the first quarter, analysts were expecting to see the company produce earnings in the amount of $0.62 per share. However, the company reported earnings well ahead of expectations at $0.84 per share. Revenue – While earnings per share were overwhelmingly positive, we didn’t see the same in revenue. In fact, the company produced revenue that fell slightly short of analyst expectations. During the first quarter, analysts expected that the company would produce revenue in the amount of $3.8 billion. However, during the quarter, DISH was only able to produce revenue in the amount of $3.79 billion. Subscribers – So here we are… overwhelmingly positive earnings, slight miss on revenue, what about subscribers? Unfortunately, the company’s subscriber base didn’t meet up with expectations. In the quarter, DISH lost more subscribers than expected. Analysts expected that the company would lose around 13,000 customers this quarter. However, the company actually lost a total of 23,000 subscribers during the quarter. Strong earnings are one thing. However, losing subscribers at a fast rate is incredibly bad news for DISH. With that said, the general expectation is that the stock would fall as a result. Nonetheless, that’s not what we’re seeing in the market today. In fact, investors are having an overwhelmingly positive reaction the earnings report. Currently (11:36), DISH is trading at $48.44 per share after a gain of $1.12 per share or 2.37% thus far today. Moving forward, I have a relatively mixed expectation with regard to what we can expect to see from DISH. In the short term, positive earnings are likely to keep investors excited, sending the value of the stock upward. However, in the long run, I am overwhelmingly concerned with subscriber growth, or lack there of. If DISH doesn’t find a way to get subscribers moving in the right direction, we’re going to see big long term declines. Where do you think DISH is headed moving forward and why? Let us know your opinion in the comments below!